As NASA's Cassini soared above high northern latitudes on Saturn's moon Dione, the spacecraft looked down at a region near the day-night boundary. This view shows the region as a contrast-enhanced image in which features in shadow are illuminated by reflected light from Saturn. Inset just above center is a higher resolution view -- one of the mission's highest-resolution views of the Saturnian moon's icy surface. 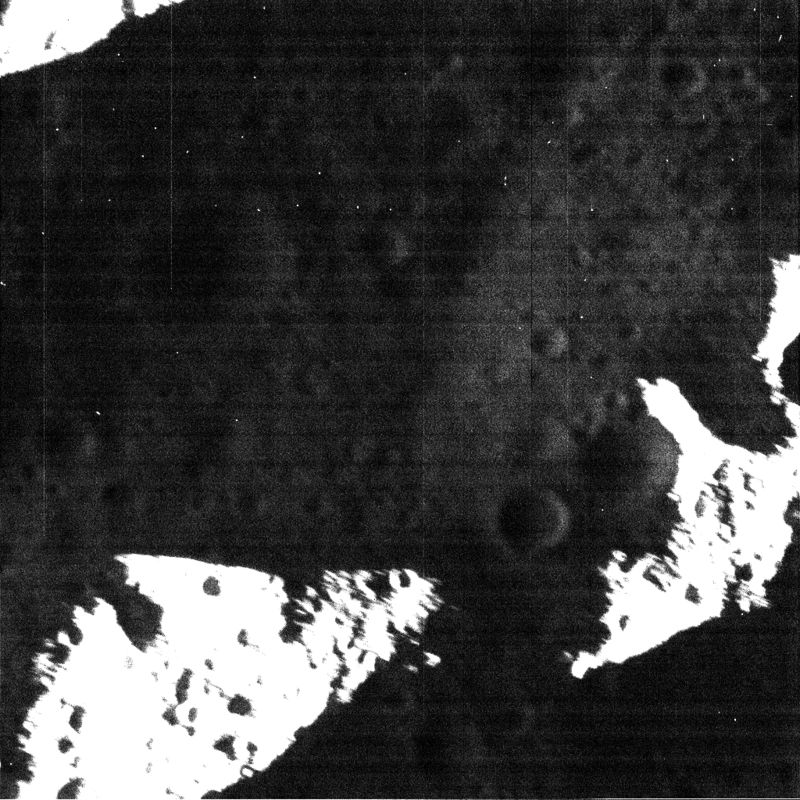 Territory seen here is just east of a crater named Butes, near an unnamed tectonic structure around 65 degrees north latitude, 25 degrees west longitude. The broader view is from the spacecraft's wide-angle camera (WAC) and includes an inset view from Cassini's narrow-angle camera (NAC). The NAC view (also available here at its full resolution) shows features about 10 times smaller than the WAC view. The unenhanced WAC view is also provided here. The views were obtained near the time of Cassini's closest approach to Dione during the encounter, like PIA19653. The NAC images in these two image releases are the highest resolution views of Dione's surface acquired by Cassini. The views were acquired in visible light at an altitude of 365 miles (588 kilometers) above Dione. The wide-angle camera image has an image scale of about 115 feet (35 meters) per pixel; the narrow-angle camera image has an image scale of about 12 feet (3.5 meters) per pixel.